The Dow Jones Industrial Average dropped sharply Monday after the People's Bank of China took drastic action to reduce the amount of cash its financial institutions need to hold as reserves. Such action is designed to spur lending as the country continues to battle the United States over trade. This is the fourth time that China has slashed what is known as the reserve requirement ratio in 2018. China's Shanghai Composite was off 3.7%. The bond market is closed for the Columbus Day holiday. However, you can expect a full day of chatter about rising yields in the United States and expectations for more interest rate hikes in the months ahead. This morning, markets are following up Friday's sell-off. In addition to Chinese jitters, investors are wary about the 10-year Treasury bond hitting its highest level in seven years after Friday's jobs report. The U.S. unemployment rate is now sitting at a 49-year low, and companies continue to struggle to fill jobs as wages rise. Those factors have the markets anticipating further interest rate hikes and potential trouble signs for a red-hot economy. Oil prices fell 1% this morning on news that the Trump administration is considering a few waivers on Iranian oil sanctions. U.S. oil futures traded at $73.30, compared to the $83.03 of Brent crude before the bell. U.S. sanctions are set to target Iranian crude oil on Nov. 4. The Trump administration has put significant pressure on nations around the globe to cut their Iranian crude imports to zero. Saudi Arabia said last week it plans to fill the supply gap by raising its daily production beyond the 10.7 million barrels of crude it produced per day. 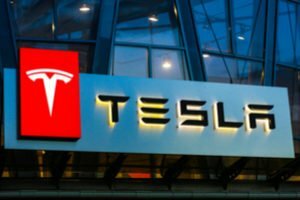 Shares of Tesla Inc. (NASDAQ: TSLA) continue to face pressure thanks to the Twitter feed of CEO Elon Musk. Shares slumped 7% on Friday as traders reacted negatively to Musk's criticism of the U.S. Securities and Exchange Commission and his $20 million settlement with the agency. Shareholders have even take directly to Twitter to beg Musk not to send out tweets and criticizing him for failing to look out for their financial interests. "If you put as much effort into improving operating efficiency as you do tweeting, you might have a fighting cash at profitability," typed one user. Shares of General Electric Co. (NYSE: GE) rose by 2.8% after the firm received a surprise endorsement from Barclays Plc. (NYSE: BCS). The British investment bank suggested that the stock could pop as high as $20 per share on higher expectations for new CEO Larry Culp. The company's analyst said that most of the bad news and expectations are already baked into the stock and that General Electric could experience a turnaround. The analyst's 12-month outlook pegs GE stock at $16 per share (from this morning's $13.56). Arconic Inc. (NYSE: ARNC) shares jumped 3.7% on takeover speculation this morning. Multiple media outlets are stating that various private equity giants and investment firms are engaging in a bidding war to purchase the producer of aluminum products. The list of suitors includes Blackstone Group LP (NYSE: BX), Carlyle Group LP (NYSE: CG), Onex Corp., and Canada Pension Plan Investment Board. Look for earnings reports today from USA Technologies Inc. (NASDAQ: USAT). While today's report isn't that newsworthy, keep in mind that earnings season kicks off this week. On Friday, look for reports from some of America's top banks, including JPMorgan Chase & Co. (NYSE: JPM), Wells Fargo & Co. (NYSE: WFC), and Citigroup Inc. (NYSE: C).